OMGPOP, the game studio behind the wildly successful mobile title Draw Something, was recently purchased by Zynga to the tune of $180 million but the story behind the story is even more compelling. In an interview with the New York Times, OMGPOP founder Charles Forman reveals that he only had $1,700 in his bank account the day before the acquisition. 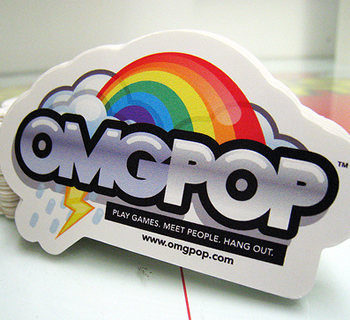 OMGPOP was founded in 2006 as more of a joke than anything. Forman created a dating site called I’m in Like With You where users could put themselves up for auction. The whole thing was initially a joke but once he realized people were taking it seriously, he renamed it OMGPOP and made it into a gaming site instead. Over the years the company managed to raise $17 million from investors and produced around 35 games but nothing had really taken off. According to two former employees, the company was on the verge of shutting down this May had it not been for the success of Draw Something. The hit title launched on February 6 and the game was downloaded nearly 30,000 times. Within the next 10 days, it topped 1 million downloads. Draw Something eventually topped Apple’s App Store charts and sales exploded from there, generating hundreds of thousands of dollars each day. It wasn’t long until potential buyers started knocking on the door. Zynga claims that Draw Something has been downloaded more than 35 million times since its launch, with users generating over a billion drawings.